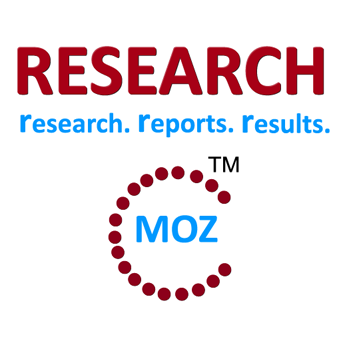 ResearchMoz.com includes new market research report " Impact of the Economic Crisis on the Russian Telecom Market: Global Industry Size, Shares, Growth, Analysis, Trends And Forecast" to its huge collection of research reports. The report highlights the impacts of the economic crisis on the Russian telecom market. The report discusses the impact of the economic crisis on the Russian telecom market (mobile telephony market) and then its presents the strategy adopted by the leading mobile operators MTS, MegaFon, VimpelCom and Tele2, to drive service adoption, device adoption and maintaining financial stability. The report concludes with a summary of key findings and a set of recommendations. Mobile operators will feel the impact of the crisis on top line service revenue. Though we expect top line service revenue growth to continue to be positive, our post-crisis service revenue forecasts for 2015 are 5.9% lower for 2015 than our pre-crisis forecast, a $850m impact. Given high levels of competition that pre-date the crisis, the Russian market has moved decisively to voice and data bundles, which are helping operators increase adoption of data services and push up smartphone penetration. Operators are offering voice is largely as a complement to data bundles in all-inclusive and/or minute allowances. This practice is encouraging voice-only customers to test data. Although the crisis has pushed up the price of certain luxury devices by as much as 70%, demand for smartphone and other data devices remains strong. In response to the crisis, vendors are seeing a shift in demand to more affordable and own-branded devices with the number of devices sold in the under US$300 category growing significantly over the last year. Vendors with a strong focus on emerging markets and value pricing, such as AlcatelOneTouch and Micromax, have done well in the current environment. Handset market commercial practices such as reverse subsidies, in place for years in Russia, are now becoming the rule in light of rising retail prices for premium brand devices. These practices arose from operators’ inability to offer device subsidies in Russia. Despite being hit hard by the currency devaluation, particularly in Q4 2014, operators have maintained their pre-crisis capex plans virtually untouched. Strong fundamentals for all four operators, as well as financial measures taken to mitigate the volatility in the price of the rouble, have enabled operators to move forward with planned upgrades to 3G/4G and geographic expansion. Russia’s major mobile operators’ sound operational performance to date will play a decisive role in their efforts to tackle the crisis and enable them to continue focusing on 3G/4G network expansion and data adoption, despite the crisis. The report also includes a section of the impact of the economic crisis on the telecom industry, including telecom revenues, mobile handset market & smartphone adoption and its impact on the financials. The report analyses the current status of the mobile operators in the current economic context and also highlights about their current strategy and their strategy to drive service adoption, device adoption and maintaining financial stability. The report concludes with a summary of key findings and a set of recommendations for mobile operators for increasing their services and device penetration. This Telecom Insider helps executives build proactive, profitable growth strategies by offering comprehensive, relevant analysis about how the recent crisis in Russia has impacted the operators (revenue and profitability) and how the operators continue to tackle this. The report offers a wealth of information and analysis of the impact on mobile services and revenues; handset & smartphone penetration; capex, financing costs & profitability of the Russian telecom market as a whole. The competitive landscape and the strategies are given extra attention, enabling local players or prospective market entrants to gain the insight they need. The broad but detailed perspective will help telcos, equipment vendors and other telecom industry players to gain insights on maintaining financial stability, strategies to be adopted to drive devices and services adoption. ResearchMoz ( http://www.researchmoz.com/) is the one stop online destination to find and buy market research reports. Our market research databases integrate statistics with analysis from global, regional, country and company perspectives. We provide the market context, competitor insight and future trends needed for strategic planning.